Experience the myth, magic and psychedelia of Pink Floyd's The Wall live! Why See The Wall Theatrical Extravaganza? In 2017, one of the the most popular bands that has ever graced the stage celebrated five decades of breaking sonic boundaries and blazing psychedelic rails across the classic rock landscape. Marking the momentous occasion right along side them was Roger Waters-founded tribute act The Wall, who are back to recreate Broadway-scale scenes from the original band's concert setups, as well as the famed gigs in London and New York in 1981, on their ongoing The Wall Theatrical Experience Tour. Bringing characters from the landmark album to life, as well as performing The Wall in its entirety and recreating its aural lushness note for note, this unique concert experience is steeped in Pink Floyd's cosmic vision. Drawing on visual cues and scenes from the album's subsequent feature film and Water's own original iteration of the tribute act as performed at the Berlin Wall in 1990, the dazzling marriage of props, costumes, sound, light and legend will have you soaring into outer space in a rocket ship made out of pure Floydian spectacle. Seen The Wall Theatrical Extravaganza? Loved it? Hated it? Sound good to you? 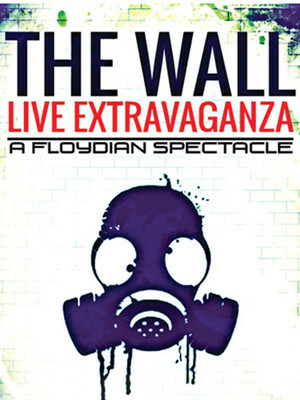 Share this page on social media and let your friends know about The Wall Theatrical Extravaganza at The Fillmore. Please note: The term The Fillmore and/or The Wall Theatrical Extravaganza as well as all associated graphics, logos, and/or other trademarks, tradenames or copyrights are the property of the The Fillmore and/or The Wall Theatrical Extravaganza and are used herein for factual descriptive purposes only. We are in no way associated with or authorized by the The Fillmore and/or The Wall Theatrical Extravaganza and neither that entity nor any of its affiliates have licensed or endorsed us to sell tickets, goods and or services in conjunction with their events.